MRS CHOW looks at the camera, her expression quietly powerful, her arms resting on a table. Her husband puts his arm around her shoulders and gazes at her; the pose is formal but tender. 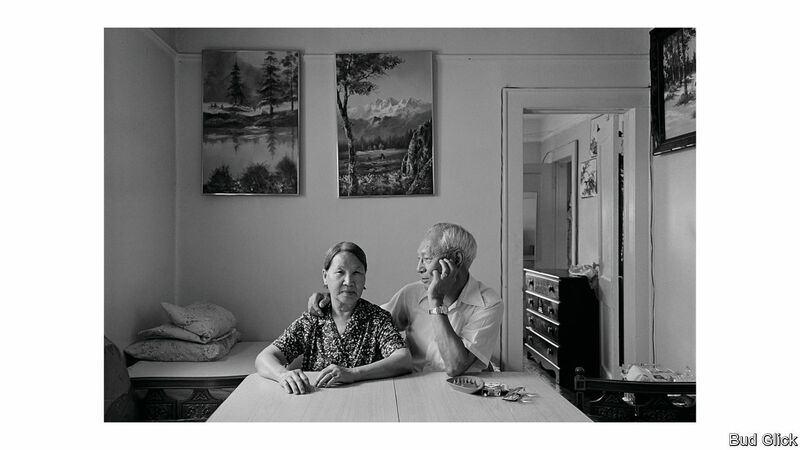 A soft light falls on them from the window; behind them a pair of framed pictures of Chinese landscapes hang on the wall. 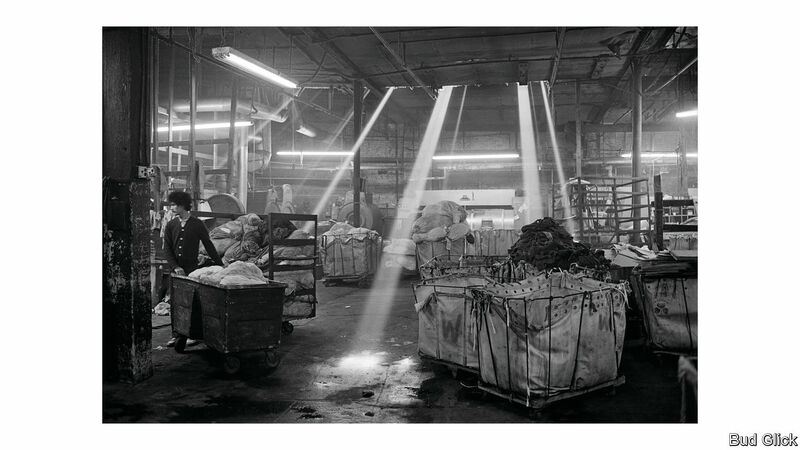 Bud Glick, an American photographer, spent three years capturing life in New York’s Chinatown, and his careful and respectful approach towards his subjects is evident from the range of spaces to which he was given access: smoke-filled back rooms in which men play mahjong next to stacks of imported beer, steamy garment factories, barber shops, kitchens and the neat living rooms of apartments, such as the one belonging to the elderly Chows. Chinatown was in a period of transition in the early 1980s, when Mr Glick was commissioned by the Museum of Chinese in America to photograph the area as part of a larger project involving oral history and the collection of artefacts. The museum, known then as the New York Chinatown History Project, was concerned that the early history of the district—established in the 1870s when Chinese merchants began to settle in Mott Street, towards the south of Manhattan—might be lost. Now Mr Glick’s lyrical black-and-white photographs are on display at the museum again, along with excerpts from oral histories. They provide a window onto a particular moment in the history of Chinatown, and insight into the Chinese-American experience. The story of the devoted Chow is in many ways typical of Chinese immigrants to America. Since their arrival in America during the California Gold Rush of the 1850s, Chinese workers were subject to racism, harsh conditions and hostile legislation. As a young man growing up in China, Chow had been well-educated, ambitious and privileged, supported by the money sent by his father from the United States. However, when he travelled to join his father and to work in the laundry business in New York, he was bitterly disappointed by the reality of hard labour and discrimination that he faced. For 30 years he toiled, living a lonely life separated from his wife, until eventually he was able to apply for her to follow him. Chow’s experience, like that of his father before him, was due in large part to laws which prevented male workers from bringing their families over to join them. Some of the first anti-immigration laws ever passed in America were aimed at Chinese immigrants. Both the Page Act of 1875 and the Chinese Exclusion Law of 1882 were designed to limit immigration from China at a time of racially charged fears that Chinese workers were undercutting Americans in the labour market. New York’s Chinatown remained a predominantly male society as a result, until the passage of the Immigration Act in 1965 finally abolished national-origin quotas. This, combined with new waves of migration from many different parts of China following the Cultural Revolution in the 1960s and ‘70s, had wrought great changes in Chinatown by the early ‘80s. These vast historical forces are explained by the exhibition’s wall texts. 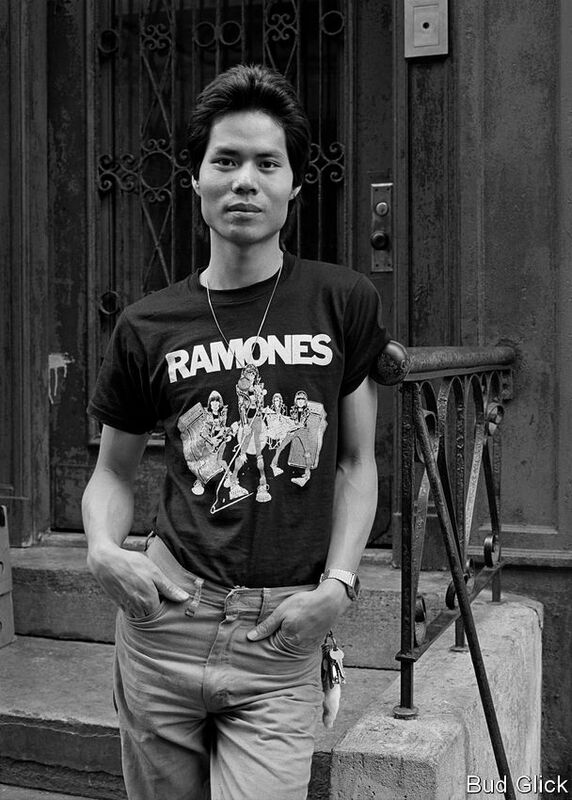 Instead, with his sharp, sensitive eye, Mr Glick captured the texture of life in Chinatown in beguiling portraits—of business owners, factory workers, a stylish young man in a Ramones t-shirt—and in carefully composed still-life studies of living spaces and well-worn possessions: blackened pots and pans, coats, beds, bowls, old coca-cola cans and some freshly washed socks drying above a kitchen cooker. The objects speak of a vanished world, and a vanished way of life. After Mr Glick took his pictures Chinatown once again changed immensely, expanding in size and finding a new industry. The garment sector once employed roughly 20,000 workers in 500 factories, before overseas outsourcing led to its decline in the early 1990s. But, as the photographer himself notes, the exclusionary politics that bent and shaped the lives of Chinatown’s immigrant inhabitants is still around. Next PostNext What would a no-deal Brexit mean for the island of Ireland?